Panasonic GH5: The perfect cinema-like camera for travel? The Panasonic GH5 may well be the best compact 4K cinema-like camera available today. Clinton Stark of Stark Insider shares his thoughts, and comparisons with similar cameras from Blackmagic, Canon, and Sony. With the Lumix GH5, Panasonic is on to a pretty good thing. The fifth generation of its flagship mirrorless camera exhibits much of the same attributes that made its predecessors (especially the GH4 which was a massive hit) a success with enthusiasts and professionals alike: superb build quality, outstanding video features, and, most notable, a pretty image. But I have to wonder, with the GH5, if the bar has been raised to an even higher level. 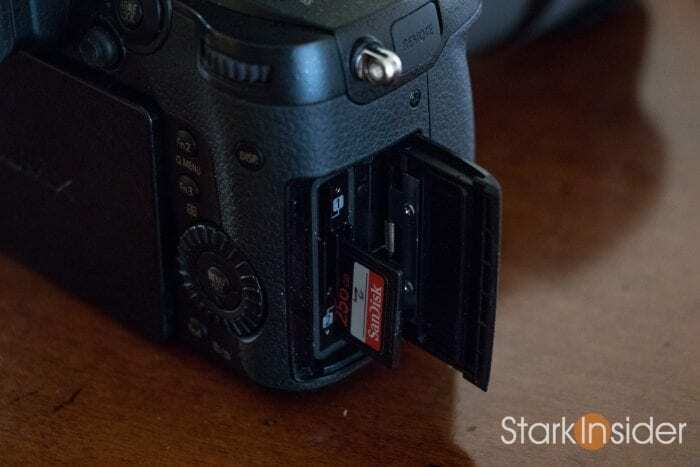 Dual SD card slots — not a common feature in this product category, normally you’d need to step up to a proper cinema camera like the Sony FS7 or Canon C100/C200 to enjoy the benefit of dual slots. 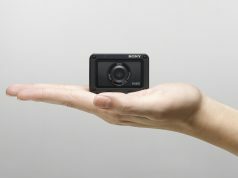 4K/60fps video — ideal for capturing high quality slow motion. I suspect wedding videographers and cinematographers will love it. 10-bit 4:2:2: color — far from me to espouse the value of deep color depth for color grading. Post color is not my forte. But to have this level of creative control in a DSLR-sized body is mind-blowing. With 10-bit you can push and pull the image more than you could with something like an 8-bit Canon file. Really impressive and useful for a wide variety of productions. Panasonic Lumix GH5 with Rokinon 35mm lens and DIY Refn LED light. Dual SD cards means you can have an instant back-up on had. During breaks slip one into your wallet… just in case. My favorite setup to shoot videos and short films outside of a RED rig: Panasonic GH5, Metabones Speedbooster Ultra (0.71x), Sigma 18-35mm ARt 1.8, and lovely Atomos Ninja Inferno monitor/recorder. 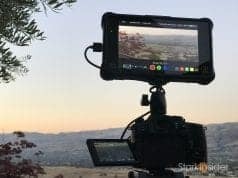 With native glass the GH5 is compact. Dual I.S. + 5-axis I.B.I.S. — my, my, my. Where on earth are Panasonic engineers getting their mojo? 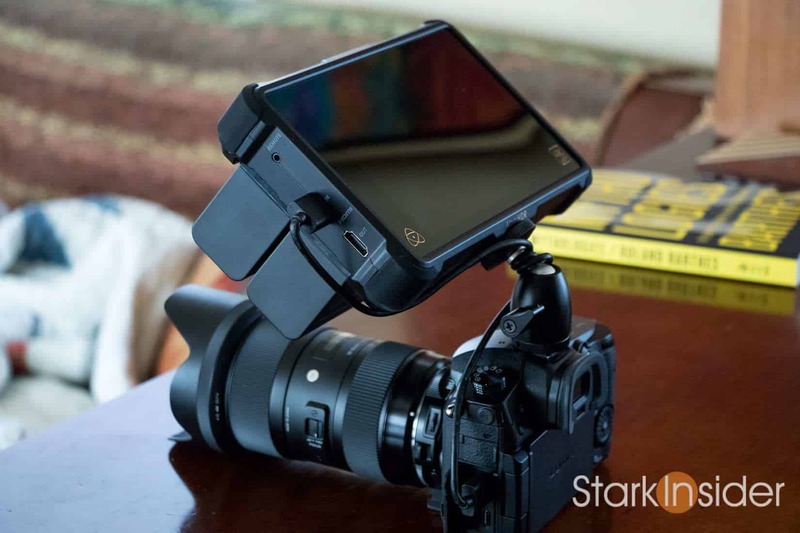 Yes, other cameras have image stabilization. But the GH5 takes it to a whole different level. Stick a native MFT lens (such as the beaut that is the Lumix 12-35mm) and you’ll enjoy IS in the lens and the body. The result: silky smooth camera movement, even handheld. Even using a non-stabilized cine lens works miracles. I used a Rokinon 35mm on my short Crazy or Die and was gobsmacked at how well it worked handheld. Anamorphic Support — I like that there’s some nice anamorphic support here, including built-in desqueeze for monitoring the image as it will look in post. Turns out it’s not just me. Check out some of the reviews — Digital Photography Review, Amazon, Trusted Reviews — and you’ll quickly see that the GH5 is likely a strong candidate for camera-of-the-year honors. So, after shooting with the GH5 for most of the year, I began to wonder if any other camera could come close, especially for a quick run-and-gun, travel camera with cinema-like capabilities. Could anyone compete? 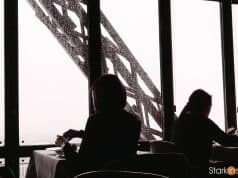 I did use the Sony Alpha a6500 on a shoot in Paris in Iceland back in January. Nice camera. Portable, superb stills, super-fast AF. Pretty image too. But… IS inhibited a jello-like quality that ruined many a shot. 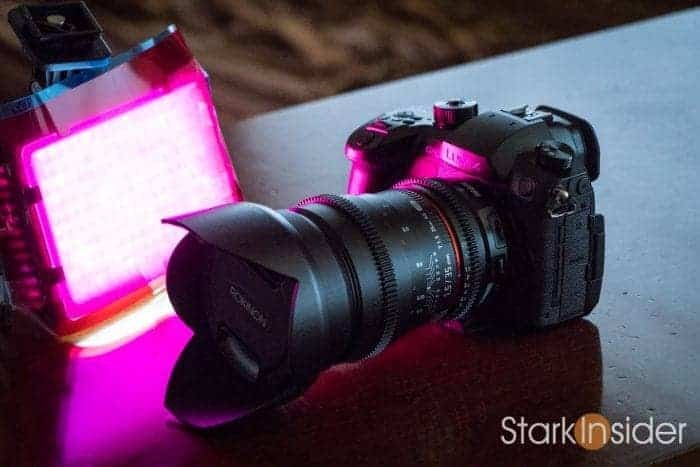 By comparison the GH5 remained well-behaved, even when the camera whipped around or was jostled — though if you push it too far in terms of jiggly movement, no camera will be able to stabilize it completely. Shot on Panasonic GH5: Edvard Much. SFMOMA. There’s the Pocket and Micro cinema cameras. Both are tiny. 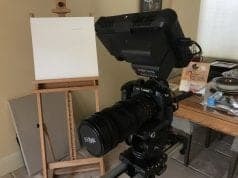 And both are, in my view, superb choices for low cost, tiny cameras you can easily toss into a backpack and take on your next trip or hike or music video shoot. Plus it’s really hard to find anything comparable for the price. The Blackmaigc Micro or Pocket remain insane values for price-performance. One of my concerns with BMD is quality control. The early Ursa cameras were widely reported to have many defects. I believe the team in Australia has fixed much of that. I chose a BMMCC for a shoot in Northern California last year and didn’t have any issues. Although the ergonomics aren’t the best (the micro is primarily designed as an action/drone cam) for narrative style shooting, I rigged it up with a simple cage and handles and all was good. Image: gorgeous. Shooting a Stark Insider video with a Blackmagic Micro Cinema Camera on location in Sonoma. For film students just getting started I’d highly recommend the Pocket or Micro. But for travel shooters, and others who need greater flexibility (and 4K! ), and occasionally want to snap a still or two, the GH5 is hard to beat. 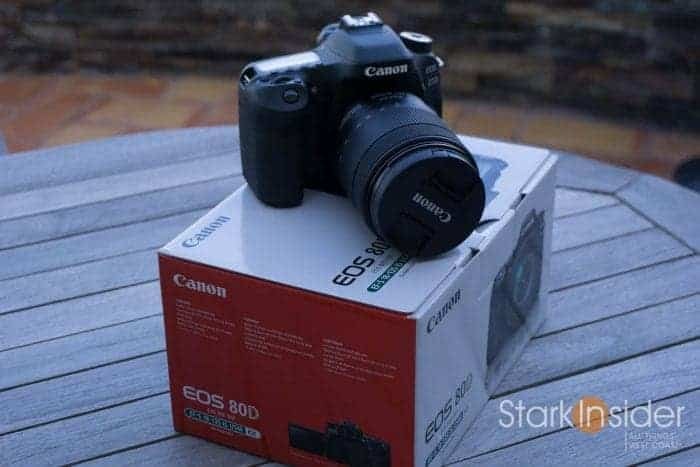 And the Canon EOS 80D (or even the still highly capable 70D)? Many knock Canon for not having 4K. Or not having basic exposure and focus tools built-in like waveforms and focus peaking (this baffles me too). 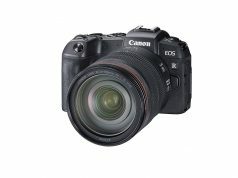 If you’re shooting fast moving objects that need to remain in focus, or, perhaps, shooting an interview subject with aperture wide open, you’ll most definitely appreciate Canon’s best-in-class Dual Pixel AF (DPAF). In my experience it easily outclasses anything from Panasonic, Sony, Blackmagic, or Olympus. When I shoot narrative and have the time and money I will almost always use the RED Scarlet-W. It needs proper lighting, good batteries, and media is expensive, but the joy there is Redcode (.R3D) and the maleability you get in post to liberally adjust ISO, colors, and curves with little to no destructive results. It really is the closest thing to a digital negative. Shot on RED Scarlet-W: A. BLINDING. LIGHT. However, the RED set-up is big and bulky — at least relative to DSLRs and mirrorless cameras. Plus, of course, it’s expensive. 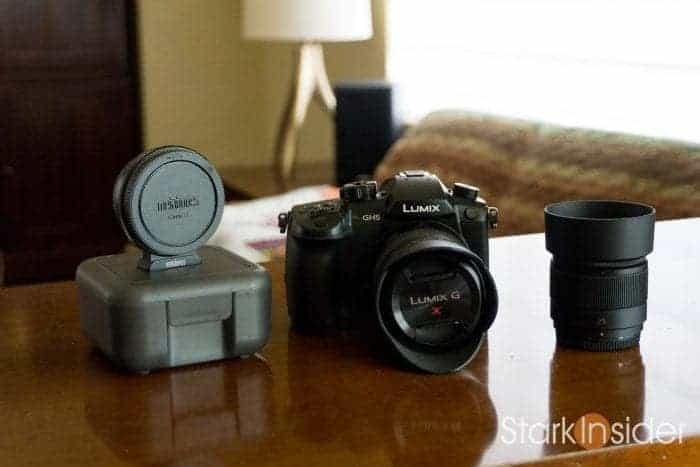 Camera Gear Test: How good is the Panasonic Lumix G 12-35mm f/2.8 lens? So when I travel, or when I’m wanting to be discrete on the streets of San Francisco or at an event or in a museum, etc. it’s Panasonic GH5 all the way. 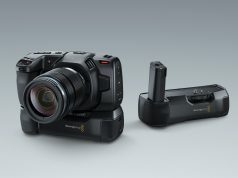 Sony and Blackmagic come close, but for my use none of them quite tick as many boxes. GH5. Perfect portable cinema-like camera? For me at least, absolutely yes.